Publications — Felan Parker, Ph.D. The Bioshock series looms large in the industry and culture of video games for its ambitious incorporation of high-minded philosophical questions and retro-futuristic aesthetics into the ultraviolent first-person shooter genre. 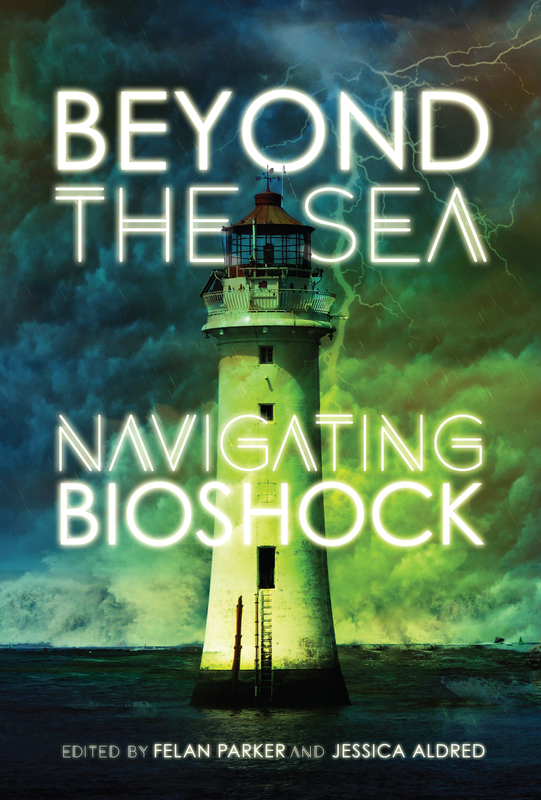 Beyond the Sea marks ten years since the release of the original game with an interdisciplinary collection of essays on Bioshock, Bioshock 2, and Bioshock Infinite. Simultaneously lauded as landmarks in the artistic growth of the medium and criticized for their compromised vision and politics, the Bioshock games have been the subject of significant scholarly and critical discussion. Moving past well-trodden debates, Beyond the Sea broadens the conversation by putting video games in dialogue with a diverse range of other disciplines and cultural forms, from parenting psychology to post-humanism, from Thomas Pynchon to German expressionist cinema. Offering bold new perspectives on a canonical series, Beyond the Sea is a timely contribution to our understanding of the aesthetics, the industry, and the culture of video games. This article draws on over 60 interviews and 120 surveys with indie game developers to illustrate relational labour and entrepreneurship practices in cultural industries and their relationship to ‘good work’. We first outline the changing organization of games work, the shift towards so-called indie production, and the associated rejection of creatively constrained, hierarchically managed production models. In the move towards small-scale games making, indies jettisoned producers because producers represented industry modes of work, values and creative constraints. But indies are now struggling to manage production processes without producers. We use developer narratives to highlight how this ‘missing producer’ work is redistributed in the form of cultural entrepreneurship, cultural intermediation and relational labour. This relational labour simultaneously supports and undermines sustainable production practices, as developers take on impossible workloads associated with networking and connecting with others. We next illustrate how the inherent valorization of growth and expansion in cultural entrepreneurship discourses may force developers to mimic industry practices and organization in order to find funding, but these practices inherently conflict with their desire to focus on making games as small, sustainable and creatively autonomous teams. Ultimately, we want to demonstrate how interviews and time spent with indie developers help us account for otherwise invisible and ambiguous cultural labour practices and discourses, thus allowing us to make sense of the larger context of cultural production and its possible futures. This article examines the cultural legitimation of digital games, and how film critic Roger Ebert became the unlikely antagonist in a heated popular debate about games and art between 2005 and 2010. Although most scholars dismiss this debate as ignorant and misguided, it reveals much about colloquial notions of art and aesthetics, and it has had far-reaching implications for popular discourse on games. Framed by the Ebert debate, the article analyzes arguments for and against games as art in terms of their sociocultural significance and concludes by arguing that the debate is an important factor in the recent history of gaming culture. Independent or “indie” games play a significant role in the contemporary game industry, and Canada is home to several prominent hubs of indie gaming activity. Drawing on 34 interviews with developers and community organizers across the country, this article examines how Canadian indie game developers construct their identities and communities on three levels: global, national, and local. While online and local indie gaming communities provide a variety of material and symbolic benefits to participation, national identification is conspicuously absent, except in certain contexts tied to cultural policy and government support. This article argues that the intersection of the global and the local is the primary site of indie identity and community and considers the implications for Canadian cultural industries more generally. The critically and commercially successful first-person shooter Bioshock is widely considered to be one of the greatest digital games of all time. This article traces its canonization by critically examining its marketing and popular reception as a blockbuster “prestige game” that demonstrates the aesthetic potential of games as a medium. In particular, far-reaching discussions of the relationship between narrative and gameplay mechanics in Bioshock have reinforced its canonical status as required playing among critics and scholars. The article concludes by comparing the reception of Bioshock and its “spiritual successor” Bioshock Infinite, showing how popular, critical, and industrial attitudes toward big-budget prestige titles have shifted in recent years. A short essay about the indie tabletop roleplaying game Fiasco and its cinematic influences in the Coen Brothers and the "fatal caper" genre, arguing that the game can be read as a form of playable film criticism. Like other popular cultural forms before them, digital games are undergoing a process of cultural and aesthetic legitimation; the question of digital games’ legitimacy as art is being raised with increasing urgency in a variety of different contexts. Mobilizing a conceptual framework derived from media studies, the sociology of art, and certain traditions in philosophical aesthetics, this dissertation proposes that art is constituted in a complex, historically-contingent assemblage made up of many diverse elements and sometimes called an “art world.” The legitimation of a cultural form as art is achieved through a process of collective action and interaction between not only art makers and art objects but also thinkers, talkers, watchers, and players, as well as ideas, organizations, places, and objects. The central question of this dissertation, therefore, is not “Are games art?” but rather “How are games being reconfigured as art, where, and by whom?” In order to understand the legitimation of games as art, it is necessary to attend to the specific social-material processes through which it is taking place in different contexts. This dissertation focuses on the historical period between 2005 and 2010, and is made up of several case studies, including the highly public debate precipitated by popular film critic Roger Ebert’s derisive comments about games as art; the cultural reception and canonization of blockbuster “prestige games” that pursue artistic status within the boundaries of the commercial industry, such as Bioshock; and at the opposite end of the spectrum, the construction of independently-produced “artgames” such as Passage as a gaming analogue to autobiographical indie music and comics. Each of these overlapping contexts represents a particular conception of games as legitimate art, mobilizing different elements and strategies in pursuit of cultural and material capital, and establishing the terms and stakes for more recent developments. As independent or “indie” games become more visible and prominent in the digital game industry and in gaming culture, the idea of independence becomes increasingly difficult to pin down. This short paper provides a starting point for scholars interested in studying indie games. Beginning with a mission statement that addresses some of the challenges and opportunities of indie game studies, the paper surveys eleven years of research on the history, theory, political economy, and socio-cultural aspects of indie games and highlights tensions or gaps. The paper concludes by identifying productive avenues for future inquiry, arguing that indie games should be more fully integrated into game studies as a field. Bringing together the insights of assemblage theory, pragmatist aesthetics, and the sociology of art, this paper examines the cultural legitimation of ‘artgames’ as a category of indie games with particularly high cultural status. Passage (PC, Mac, Linux, iOS, 2007) serves as a case study, demonstrating how a diverse range of factors and processes, including a conducive ‘opportunity space,’ changes in production, distribution, and reception, and the emergence of a critical discourse, collectively constitute an assemblage or ‘art world’ that establishes artgames as legitimate art. A book chapter exploring how the non-linear and customizable aspects of digital games have been accounted for in discourses of canon and fictional continuity, focusing on the Star Wars transmedia franchise. This paper examines audio commentary in digital games, a paratextual “special feature” modelled on DVD and Blu-Ray commentary tracks, which usually feature developers, producers or artists discussing a game while the listener plays. Although there is some overlap between movie and game commentary tracks in terms of form and content, the peculiarities of the digital game medium require these paratexts to be implemented in unique ways. This paper explores a variety of different ways audio commentary has been incorporated and mobilized in games, and, using concepts from cinema and media studies and game studies, theorizes the ways in which commentary functions as a paratextual re-framing of the game's meaning, intentionality, and authorship, as well as a spatial re-mapping of the game's fictional world. Video games, unlike traditional, non-digital games, are based on a combination of fixed rules which cannot be broken from the player position, and implied rules which are not enforced by the computer program. It is relatively common, however, for players to impose additional or alternative rules on video games, in order to refine or expand game play and to create new gaming experiences. This paper considers the implications of this phenomenon, dubbed ‘expansive gameplay’, in context of video game studies and design. How does the existence of expansive gameplay help us to situate video games in relation to traditional games? To what extent is this phenomenon indicative of the ways in which players engage with video games? By theorizing expansive game play as a demonstrative example of the active, experimental, and exploratory nature of game play more generally, this paper endeavours to open further discussion about the relationships between players and the rule-based systems which constitute video games.